Cook bacon in a large skillet over medium-high heat until evenly browned, about 10 minutes. Drain all but about 2 tablespoons bacon drippings from skillet. Remove the bacon to cool. 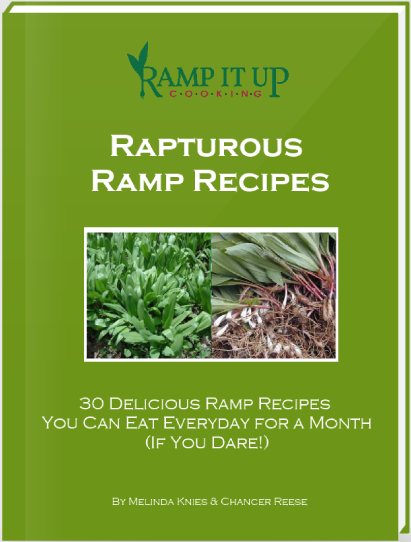 Cook the ramps in the bacon drippings until ramps are translucent and tender, 5 to 10 minutes. Dice the bacon while the ramps are cooking. Add the garlic, salt, cracked pepper and diced bacon in with the ramps; cook and stir until fragrant, about 2 minutes. Pour Alfredo sauce into the ramp-bacon mixture; rinse jar with the ½ cup of water and pour into skillet. Stir sauce with a wooden spoon, thoroughly scraping any brown bits of food from bottom of the skillet. Bring sauce to a simmer; add tomatoes. Simmer sauce until flavors blend, about 5 minutes. 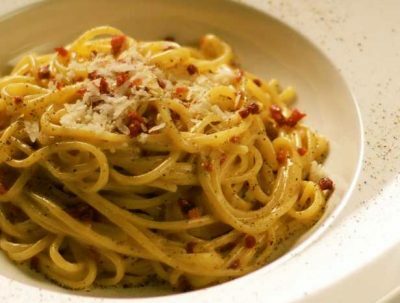 Pour sauce over hot pasta, top with Parmesan cheese.